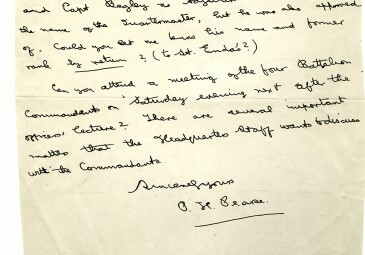 This letter can be seen as a memento of a significant moment in de Valera’s life. While the promotion bestowed by Pearse almost condemned de Valera to death, it ultimately provided a foothold upon which he was able to continue his political ascent. In this sense, the letter acts as an interesting intersection between past and future leaders of the Irish cause. Letter from Patrick Pearse to Éamon de Valera, March 11 1915 (IE UCDA P150/450). Part 14 of our From the Archives Centenary Special. Scans of the original documents along with analysis and a transcript by Colm O’Flaherty can be viewed below and in PDF. Images courtesy of UCD Archives. 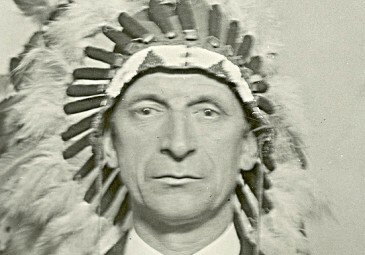 Header image: Éamon de Valera by National Photo Company [Public domain], via Wikimedia Commons. “Somebody called de Valera, Sir… He was in command of Boland’s Bakery in the Ringsend area.” According to his recollections, this was how W.E. Wylie, crown prosecuting officer during the trials of the Easter 1916 rebels, responded to a question from General Maxwell during the execution of the leaders. Maxwell, under pressure from Prime Minister Asquith to cease the executions, had approached Wylie to ask who was next on the list to face the firing squad. The General then enquired as to whether de Valera, of whom he had never heard, would “be likely to make trouble in the future”. “I wouldn’t think so, Sir”, came Wylie’s reply. 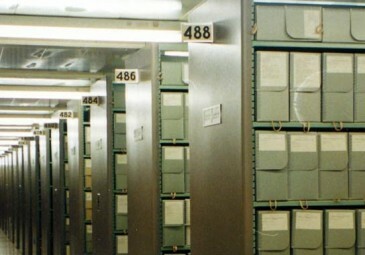 Although this account is disputed, it nevertheless serves to illustrate how, in certain circumstances, the eventual outcome of a decision can extend far beyond the intended consequences in its impact on history. Indeed, that de Valera found himself in that position in the first place was due in part to such a decision, as exemplified in this month’s From the Archives document, which is a copy of a letter written from Padraig Pearse to Eamon de Valera in March 1915. 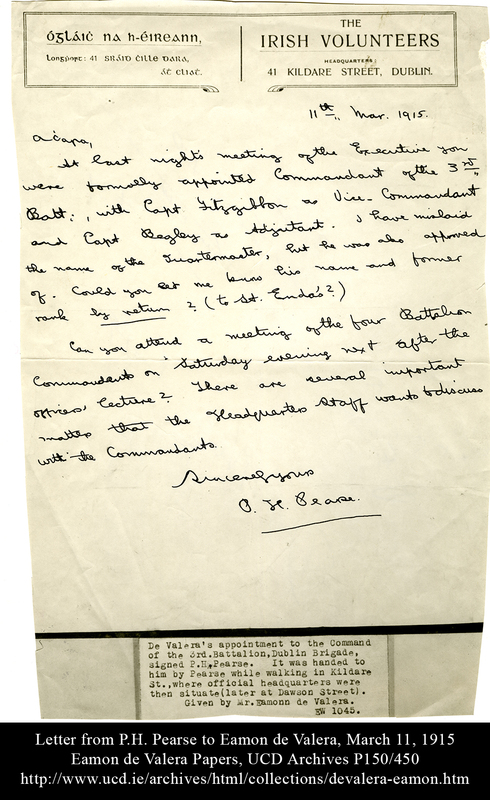 The letter confirms de Valera’s appointment as Commandant of Dublin city’s 3rd Battalion of the Irish Volunteers, and provides an insight into a critical moment in the planning of the Rising, as well as in the life and career of Eamon de Valera. 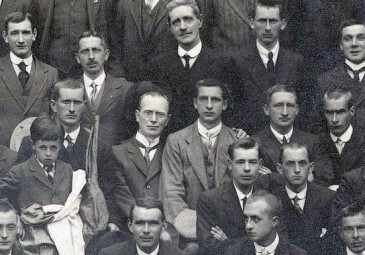 The document bears marks from the aftermath of Eoin MacNeill’s statement against Redmond and the War, featured in September’s From the Archives post, and the split in the Volunteer movement that followed. In casting off the shackles of Redmond and his followers, MacNeill had inadvertently placed the movement firmly in the hands of the IRB, who asserted their newfound dominance during the rebuilding of the organisation. At a meeting of the Central Executive in December 1914, Pearse, who chaired the meeting, submitted a scheme for military organisation. While MacNeill was appointed Chief of Staff, Pearse took up the position of Director of Military Organisation and Joseph Plunkett became the Director of Military Operations. It was also decided at the meeting that the Volunteers in Dublin would be divided into four battalions. Edward Daly was appointed the acting-commandant of the 1st, Thomas MacDonagh was to head the 2nd, de Valera took control of the 3rd, while Eamonn Ceannt took the 4th. It was not until the 10th of March, however, at the meeting of the Executive Committee referred to in Pearse’s letter, that the appointments made in December were confirmed. It was a long and unlikely distance that de Valera had travelled from his origins in New York and Bruree. Although he had long nurtured an interest in Irish matters, by the time he reached adulthood it seemed as if he was heading squarely down the combined routes of an academic and family man. As the tumultuous decade in Irish history approached, he was living in Donnybrook with his wife Sinéad and their three young children and held a position as a part-time Mathematics lecturer in St Patrick’s College, Maynooth, commuting from to and from work aboard his motorcycle. As with several Irishmen of his generation, a significant turning point in his life came on the 25th of November, 1913, when he followed many of his Gaelic League companions into the Rotunda for the inaugural meeting of the Irish Volunteers. Some years later, de Valera recalled the dilemma presented to him at that meeting. His lack of prior involvement with militant republicanism did not prove a major hindrance to his progress within the Volunteers. He quickly began to make a name for himself as his diligence and commitment to the cause became apparent; in May 1914 he was elected captain of a new company established in the Donnybrook area and later led his men into the Howth Gun Running. After Redmond’s call to arms, he displayed his stance forcefully at a meeting of the Donnybrook Company on the 28th of September 1914, when he condemned Redmond’s decision and walked out, followed by a majority of his men. When he tried to reorganise the company under the reformed Irish Volunteers, however, only seven expressed an interest. Nevertheless, he set about rebuilding with vigour and enthusiasm. These efforts, combined with the depleted number of officers available to the new Executive, ensured that de Valera’s standing in the new organisation continued to rise. Recognition came in the form of his promotion in March 1915, which was a strong vote of confidence considering that de Valera was not a member of the IRB. The planned uprising had been closely guarded by the Fenian organisation, and Pearse was not one to disclose secrets loosely. He had previously instructed his contacts in Clan na Gael not to give money for arms to MacNeill or The O’Rahilly, insisting that “they are not in or of our counsels” and that “they are not pledged to strike, if the chance comes, for the complete thing”. Such caution was displayed when de Valera was handed the letter on the 11th of March. He recalled being asked by Pearse what he would do if, hypothetically, an insurgency was to be directed against the British. De Valera replied that he would follow orders. Pearse was satisfied and handed de Valera the letter. The others referred to by Pearse in the letter are Sean Fitzgibbon and Patrick Begley; it was James Byrne who was made Quartermaster. At the subsequent meeting of the four battalion commandants on the 13th of March, the planned insurrection, to be held in September, was formally discussed. The commandants were later instructed as to the roles they would be expected to play in the uprising; de Valera’s battalion was charged with defending the rebel-held centre against the British troops stationed at Beggar’s Bush Barracks, as well as disrupting rail lines in the area. The promotion gave him an official role in heading a battalion of roughly 500 men that covered a large area of southeast Dublin. One of his first major acts after being officially appointed was to take part in the exercise held in Finglas village on Easter Sunday, 1915. De Valera’s detailed sketch maps of the area, available to view in UCD Archives, would seem to confirm his reputation as a meticulous commander. Over the coming months he carefully familiarised himself with the southeast area of the city, apparently walking along the Grand Canal with his son Vivion in a bid to reconnoitre enemy positions without attracting suspicion. He also held briefing sessions with his officers and drew up detailed maps and plans for his battalion to prepare them for the coming insurrection. His endeavours earned him another promotion when he was appointed adjutant of the Dublin Brigade under Thomas MacDonagh. Despite his rising status, de Valera would still feel as if he was being kept out of the loop. Some time after his appointment, he informed MacDonagh that there were those below him in the battalion who knew more about the planned rising than he did. 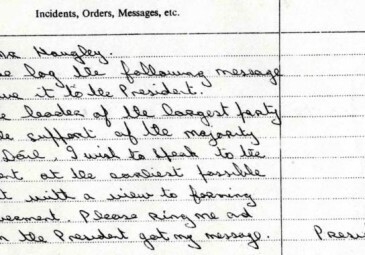 MacDonagh replied that they were familiar with these plans as they were members of the IRB, and the only way for de Valera to avoid any further such difficulties was for him to become a member himself. Of the four commandants appointed in March, Daly and Ceannt were already members, while MacDonagh would join soon after his appointment, in April 1915. De Valera was slow to follow suit and, in what would appear to have been something of a bête noire, was particularly troubled by the notion of taking an oath. His reluctance was largely due to his devout Catholicism and the Church’s disapproval of oath-bound secret societies, but he was also worried about receiving contradictory instructions from the respective headquarters of the Volunteers and the IRB. It was only after reassurances from MacDonagh and his superiors that de Valera agreed to join, swearing an oath on the understanding that it would only bind him to following the Executive’s military orders. He also refused to attend IRB meetings or to become a party to any internal secrets that could be avoided. The ability to hold a high rank within the Volunteers whilst maintaining a peripheral position in the IRB would prove to be crucial for de Valera in the aftermath of the Rising. T Ryle Dwyer argues that, because he did not fully align himself with the IRB, he was seen to be an ideal spokesperson for the prisoners. And although Thomas Ashe, commandant of the 5th Battalion, and Thomas Hunter, vice-commandant of the 2nd Battalion, also played notable commanding roles during Easter week, de Valera was able to assert a higher-ranking authority in the Rising’s aftermath. His age, education and personal characteristics contributed to his heightened status amongst the rebel prisoners, while his military rank and commanding role in one of the most successful parts of the Rising garnered him with a considerable amount of prestige. Thus, as well as providing an insight into the workings of the IRB and their plans for the Rising, this letter can be seen as a memento of a significant moment in de Valera’s life. Of the four battalion commandants appointed in March 1915, he was the only one to survive. While the promotion bestowed by Pearse almost condemned de Valera to death, it ultimately provided a foothold upon which he was able to continue his political ascent. In this sense, the letter acts as an interesting intersection between past and future leaders of the Irish cause. It helped to ensure that, while it was Pearse who led the parade of Volunteers on Easter Monday, 1916, it would be de Valera who paraded them as they left Frongoch prison camp and boarded the boat to Ireland in June 1917. Can you attend a meeting of the four Battalion Commandants on Saturday evening next after the officers’ lecture? There are several important matters that the Headquarters staff wish to discuss with the Commandants. 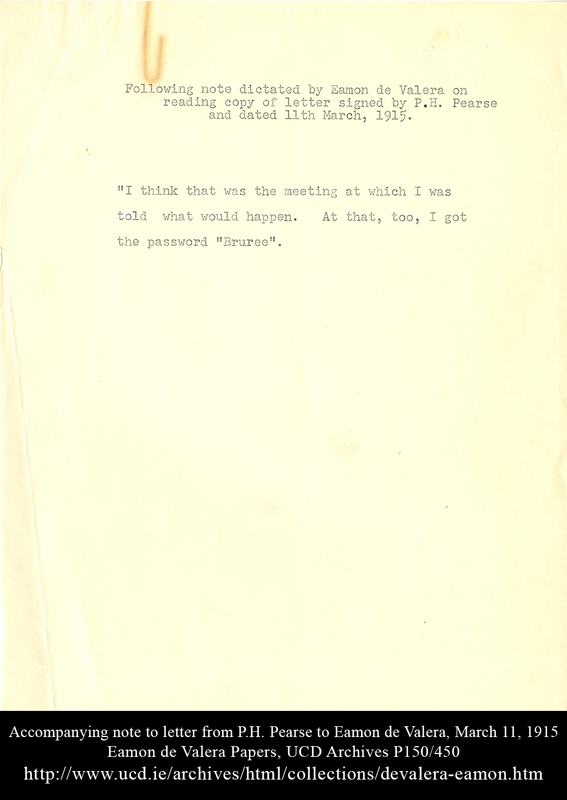 De Valera Papers, UCD Archives P150. 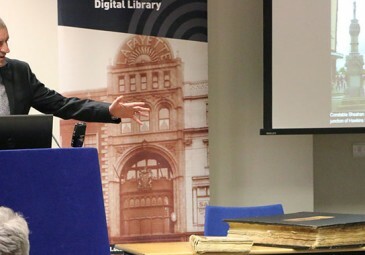 The original copy of Pearse’s letter is held in the National Library, Dublin. Brian Barton and Michael Foy, The Easter Rising (Stroud, 1999). Tim Pat Coogan, De Valera: long fellow, long shadow (Dublin, 1993). T. Ryle Dwyer, Big Fellow, Long Fellow: A Joint Biography of Collins and De Valera (New York, 1998). Ruth Dudley Edwards, Patrick Pearse: The Triumph of Failure (Dublin, 1990) (2nd edition). Sean Enright, Easter Rising 1916: The Trials (Sallins, 2014). 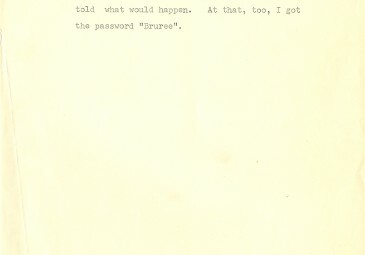 UCD Archives, De Valera papers, P150/449.